This ravishing Art Deco rarity, die-struck and hand finished in platinum, circa 1925, features a fabulous European-cut diamond, weighing 1.27 carats. The scintillating stone radiates between a pair of smaller contrasting white European-cut diamonds (together weighing 1.30 carats) presented atop a rigorously detailed filigree mounting dotted all around with an array of tiny twinkling round diamonds. 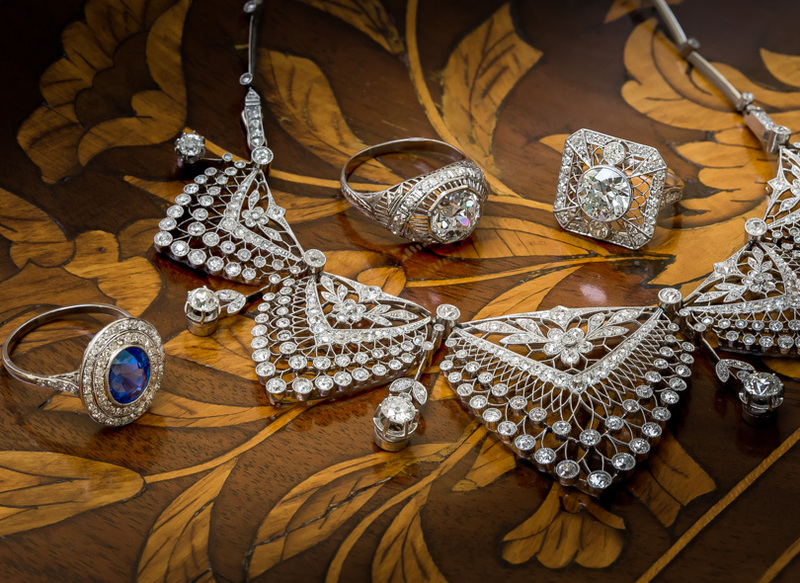 Finished with decorative piercing, milgraining and hand engraved detailing, this is a truly singular and stunning Jazz Age jewel. The maker's mark indicates by J.R. Wood. 2.79 carats total diamond weight. 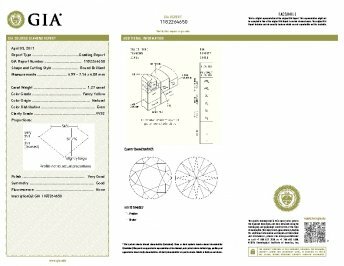 Center diamond is graded and laser inscribed by the GIA: Natural Fancy Yellow color, VVS2 clarity. Currently ring size 7 1/2+. 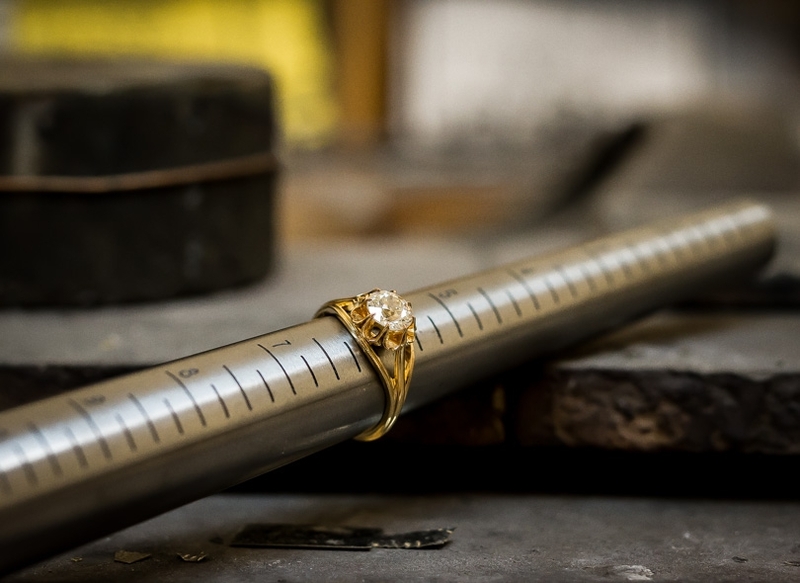 Carat Weight: 1.27 carat Because mountings prohibit full and accurate observation of gem quality and weight, all data pertaining to mounted gems can be considered as approximate unless accompanied by an independent laboratory certificate (AGL, EGL, GIA). 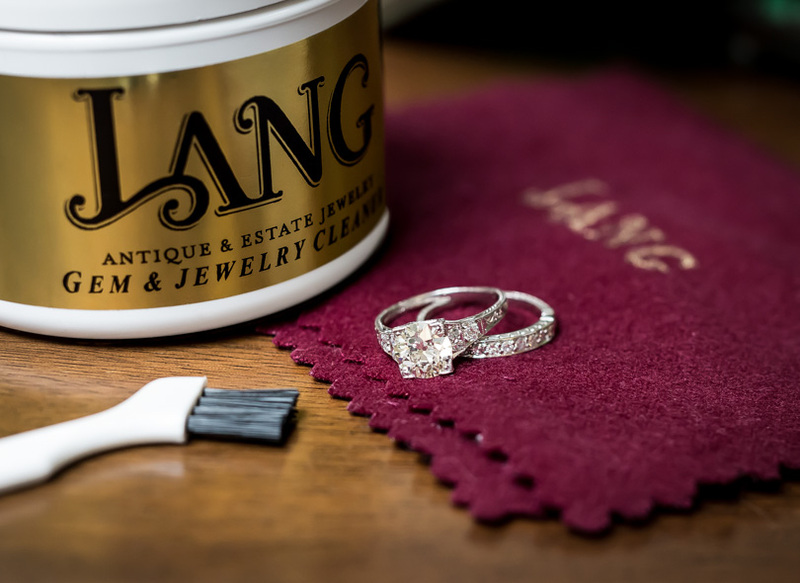 Unless otherwise stated, all colored stones and pearls are assumed to be subject to a relatively stable and possibly undetected color and/or clarity enhancement.